The men pull out their chairs and bow to the hostess before sitting down and grabbing a menu paper. They chat to each other casually as they each check boxes and clear space on the table for the hostess who has already returned with their pot of tea. Quickly they finish checking off boxes and pass their paper menus to her and in a flash she is gone again. Now I’m starting to get hungry! 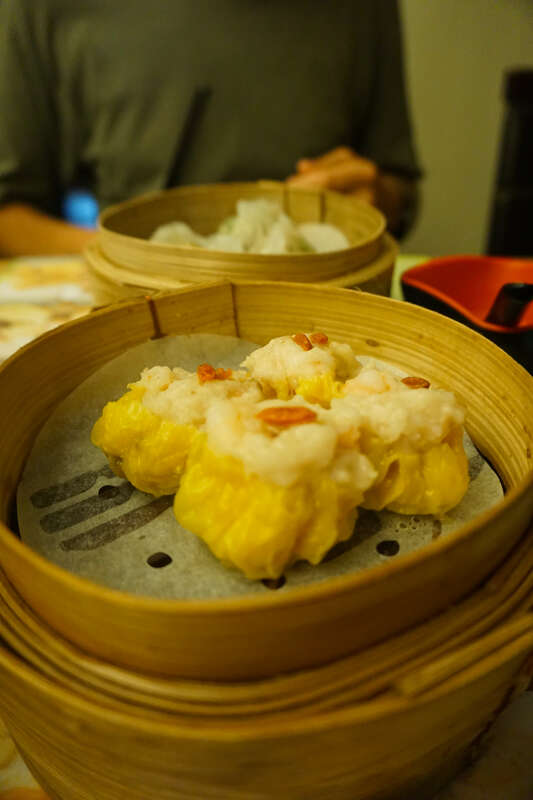 Dim sum is one of the most exciting ways to try lots of new food in a relatively short period of time. It is a perfect place to grab a quick bite to eat, especially if you aren't going to be in town for long. But much like anything else in a foreign country, it can be very intimidating. 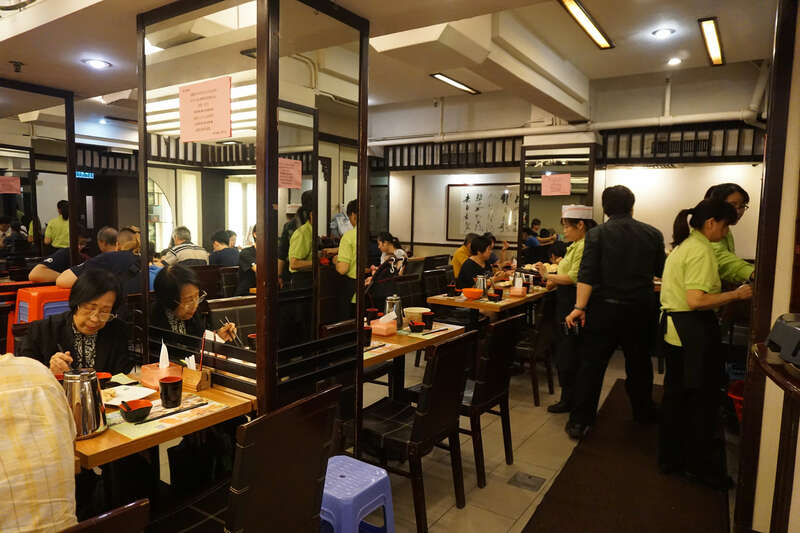 Dim sum teahouses are often crowded, fast moving, noisy, and sometimes down right overwhelming! But don't worry! With a few simple tips to get you started, you will be ordering dim sum like a pro, and well on your way to developing a new addiction! It’s quick, cheap, and delicious, which makes it a sure winner in my book. 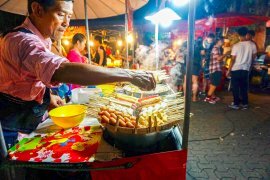 So take a few minutes and familiarize yourself with the do's and don'ts of eating dim sum, then get out there and chow down! 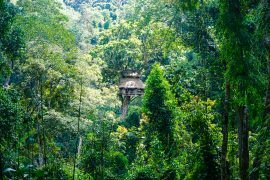 It’s always great to learn some history about a new cuisine before you try it so that you can appreciate why this food is the way that it is. 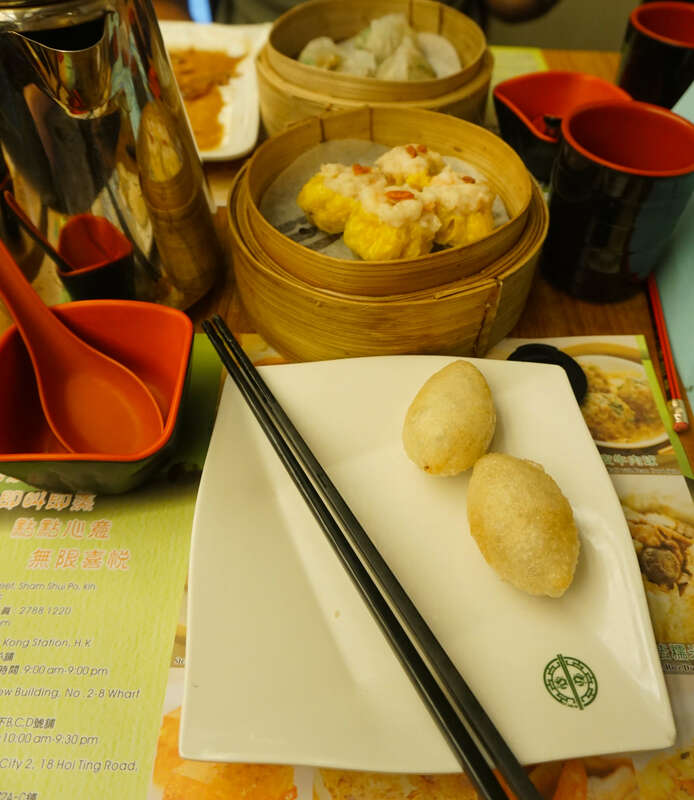 Dim sum was originally used as a verb, which meant, “to eat a little something” and so as you can imagine this developed into most dim sum dishes being relatively small. The practice started in teahouses that sprang up along the Silk Road trade route in ancient times where it was common for travelers to stop and eat while they drank tea, due to the belief that tea helps with the digestion of food. To this day it is common to drink tea while eating dim sum. Ordering dim sum can seem overwhelming at first, but it is actually very easy! Most restaurants fall under one of a few different systems. Pre-printed sheets of paper for your menu is one of the more popular systems. When you are seated at a table you will find long strips of paper with all of the dim sum dish options along with some pencils. You can use one paper for the table or one for each person if you intend on paying separately. All you have to do is mark how many of each of the dishes you would like and pass the paper along to a server. Other restaurants follow the cart method. Employees push carts around the restaurant with the dim sum dishes already made up in little whicker steam baskets. Just wait for someone to come buy and then take your pick of what is available. The employees will keep track of what you take by writing it on the bill slip at your table. Some restaurants have colored-coded plates that they will count up when you are done. 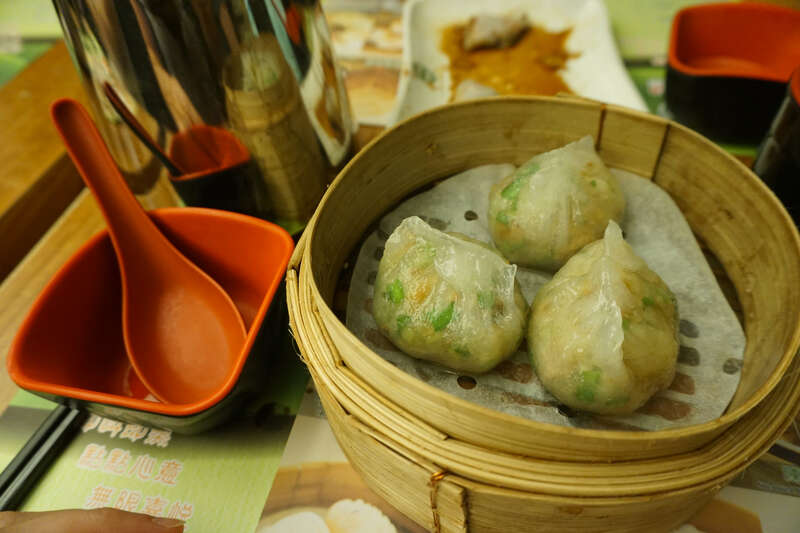 Dim sum generally refers to small dishes of 2-4 pieces of something. However there is some variety in the serving sizes. Portions are often broken down into categories such as small, medium, large, extra-large, special, and kitchen. Small or medium dishes will be something like 2 or 3 dumplings, so don’t be afraid to order a few of those. Large and extra-large dishes will most likely be more like a bowl of Congee or rice porridge. It's a good idea to see how big it is before you order more than one. You will be ordering as you go so don’t be afraid to hold back at first and order more later. Items labeled as 'kitchen' will be larger. Often similar to something you might order as a stand-alone entrée at another restaurant. Tea is just as important to dim sum as the food. As I mentioned earlier it was a key part in making dim sum what it is today. Whether or not you will be having tea is probably going to be one of the first things your server will ask you. If you’re a tea fan then that’s great! It is common for a whole variety of teas to be served with dim sum including Chrysanthemum tea, Green tea, Oolong tea, Pounei tea, and Scented teas. If you’re not a tea person that’s okay too. There will be lots of food options to keep you plenty busy. Fortunately there isn’t a ton of etiquette that you need to be worried about. 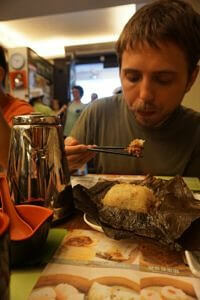 Most of the customs Chinese people observe while eating dim sum are centered around the tea. They are also the same as they would be any other time you are drinking tea. You should always pour tea for everyone else before pouring any for yourself. Use your right hand to pour tea for someone on your left, and the left hand when pouring for someone on your right. When someone is pouring tea for you, hold your cup with both hands. 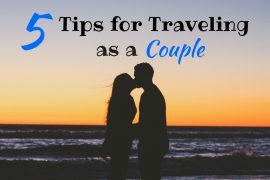 You can also tap your index finger rather than bowing to say thank you or show respect. Married people tap both the index and middle figure. Tapping your figure rather than bowing is mostly for convenience. Finally you can leave the lid balanced on the side of the teapot as a signal to an employee that you would like more tea. 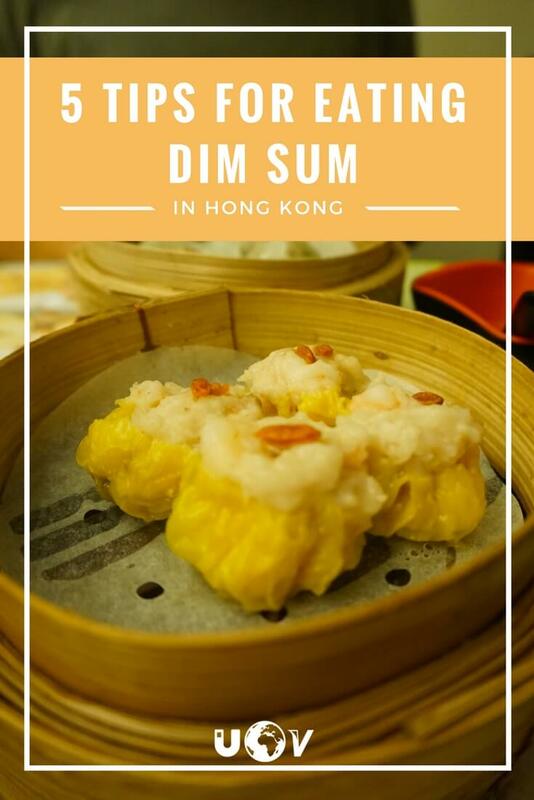 If you are in a hurry or simply looking to try lots of new food, dim sum is by far the way to go! Don’t be afraid to check a few boxes off the list and see what they bring you. You just might stumble across your new favorite dish! Have you tried Dim Sum before? If so leave a comment below and let us know what your favorite dish was!